Welcome to the Hong Kong Geology website. In 2008, in collaboration with the Education Bureau (EDB), the Geotechnical Engineering Office (GEO) of the Civil Engineering and Development Department (CEDD) prepared teaching support materials for the New Senior Secondary (NSS) Geography Curriculum under the topics of Natural Hazards and Earth Science. A “Teaching Support Materials Kit” to assist teachers with preparation of lessons was produced and distributed to all secondary schools in Hong Kong in early 2009. The teaching kit contains pertinent and up-to-date information on slope safety, landslides, geology and geomorphology in Hong Kong. Furthermore, it forms part of the GEO's public education efforts to enhance knowledge and awareness of slope safety and landslides among secondary school students. 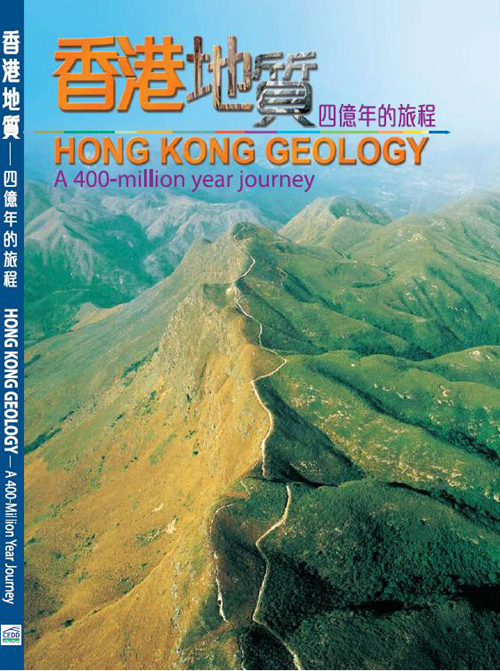 In view of the anticipated demand for more accessible and simplified accounts of the geology and geomorphology of Hong Kong, especially in relation to establishment of the Hong Kong Geopark, it was considered worthwhile to produce a geology book, based on the teaching kit prepared for the EDB. As the teaching kit was structured for teaching of geological topics at progressive student levels, preparation of the book required topical reconstitution and reorganisation so as to enable fluency in style and subject matter. This book has been written by Dr. Roderick J. Sewell, Ms. Denise L.K. Tang and Dr. Raynor Shaw of the Hong Kong Geological Survey of GEO. In addition to materials covered by the teaching kit prepared for EDB, the book includes a brief history of geological studies in Hong Kong, supplementary information on structural geology, some new diagrams and photographs, and an appendix containing a field guide to pertinent sites featuring well-exposed granitic, volcanic and sedimentary rocks, and their related geological features in different parts of Hong Kong. As a whole, the book provides the first authoritative account of Hong Kong's geology written at an introductory level in Chinese and English. We are hopeful that this book will serve not only as a useful reference for secondary school teachers and students, but also as a general reference for geotechnical practioners and members of the public interested in the subject.